The ABAX Stadium will host Posh v Oldham on February 23. 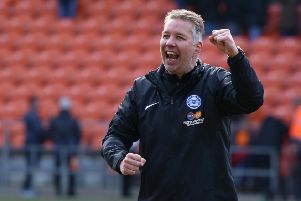 The match was supposed to take place on February 9, but Posh now have an FA Cup fourth round replay at home to West Brom on Wednesday, February 10. Should they beat West Brom, Posh will play away to Reading in the fifth round on Saturday, February 20. Tickets for the West Brom replay are on sale now at normal League One admission prices. Over 2,000 were sold yesterday. Visit www.theposhtickets.com for further details.